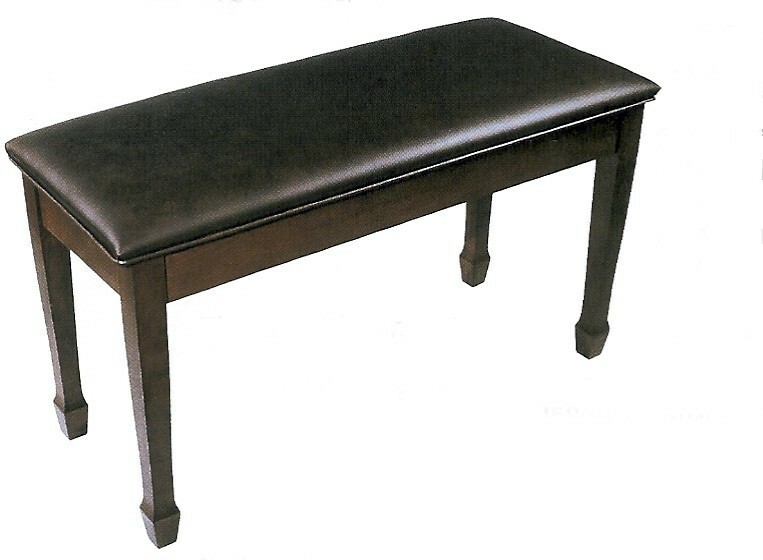 NEW Jansen Petite Duet Artist Bench - Free Shipping at Perfectly Grand_NEW is rated 4.24 out of 5 based on 55 ratings. An extraordinary adjustable bench, big enough for two, will last for multiple decades of daily use in your conservatory or teaching studio. Seat dimensions 13" x 33"
Jansen's patented "Micro-A-Just" mechanism is built for decades of loving use in your home, studio, or concert venue. The "Petite" style is most different from Jansen's regular artist bench in that it has a simpler tufting in the upholstery. Made with the impeccable attention to detail by Paul Jansen and his sons and family are famous for. Paul and his sons are reknowned craftsmen who have insisted on meticulous quality and artisanship for over fifty years. Their workshop is in Wisconsin. Options include nine leg styles, four finishes, satin or high gloss, vinyl or leather upholstery, and some custom options as well.